RUSSELL, KY — March Madness may be over, but the residents at Morning Pointe of Russell are forever loyal to their favorite teams. 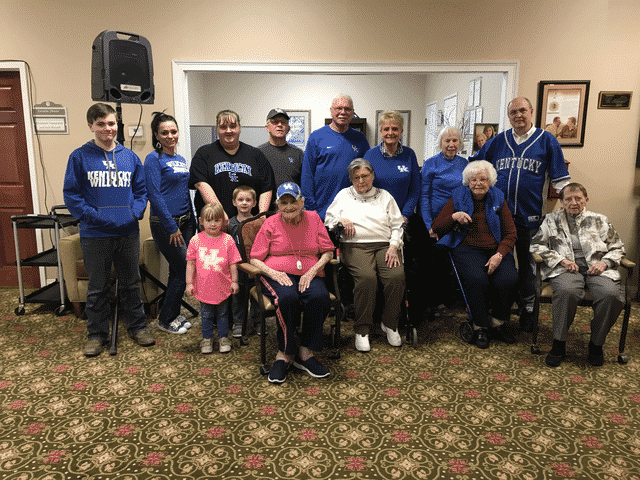 Fans of the University of Kentucky, Ohio University, and other college athletics came together for a special family night at the personal care community. Morning Pointe residents enjoy activities that are tailored to their unique interests as part of the life enrichment program. Photo: Morning Pointe of Russell residents and family members sport blue attire as they cheer on the University of Kentucky basketball team at the March Madness Family Night.